The palace, a place of despair, to the enemy of justice! Etna is the largest volcano in Europe, the highest mountain in Italy, and located in Catania, Sicily. St. Gregory the Dialogist once commented, figuratively, that Etna was one of the mouths of Hades. One year after the repose of St. Agatha, Etna erupted and gushed forth lava as a fiery river. As it approached Catania it burned and destroyed all that lay in its path. 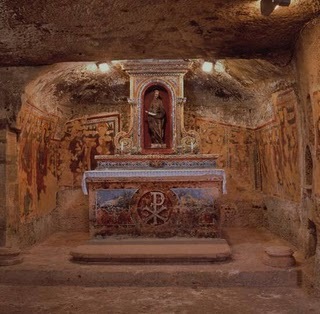 Both pagans and Christians, in fear, ran to the tomb of St. Agatha (Sant' Agata). The silk mantle that draped her tomb was placed on a pole, and everyone, clergy and laity, left. Then the wonder occurred, when the grace emanating from the mantle caused the lava to cease in its path and turn back towards the mountain. As a result of this miracle the esteem of St. Agatha grew among both pagans and Christians. In fact, many pagans became Christians as a result. 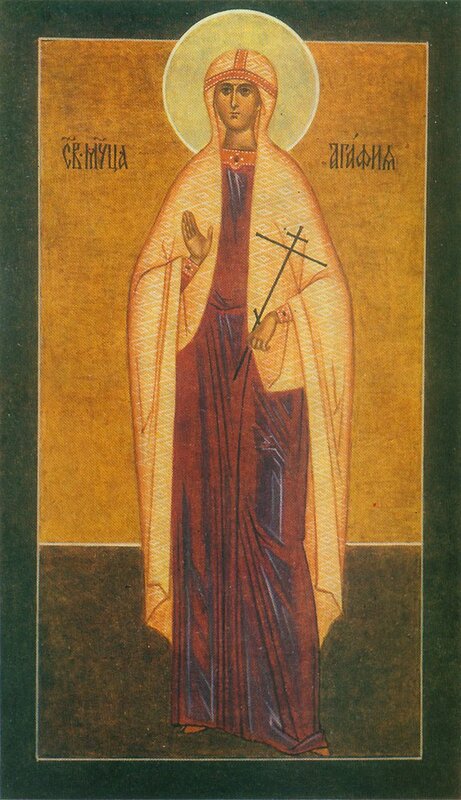 The virgin-martyr is also invoked against any outbreak of fire. 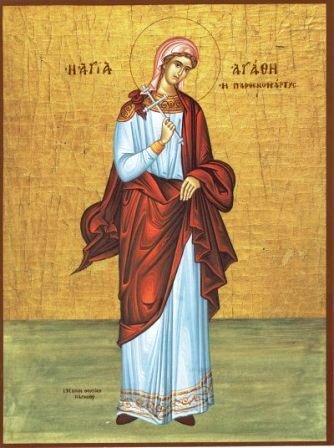 Thou wast a fragrant flower of virginity, and an undefiled bride of the Lifegiver; thou didst desire the Source of all good and excel in martyrdom. 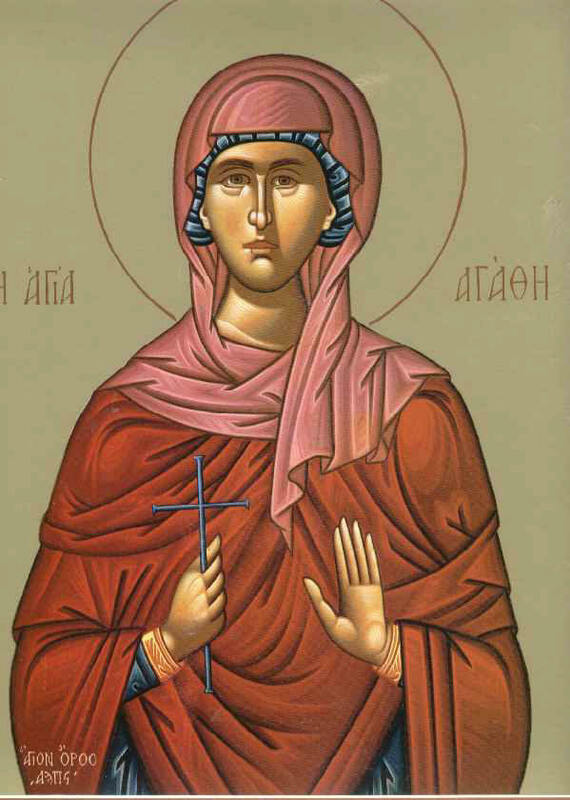 O glorious Agatha, intercede by thy holy prayers for those who lovingly honour thy contest. Let the Church be arrayed today in glorious purple, dyed with the chaste blood of the Martyr Agatha, and let us cry: Rejoice, thou boast of Catania.